All children need real literature. No matter their gender, level, background, they need to hear and feel those impactful and moving stories. Every year I diligently follow the literary world to learn about new books that might make an impact in my classroom. 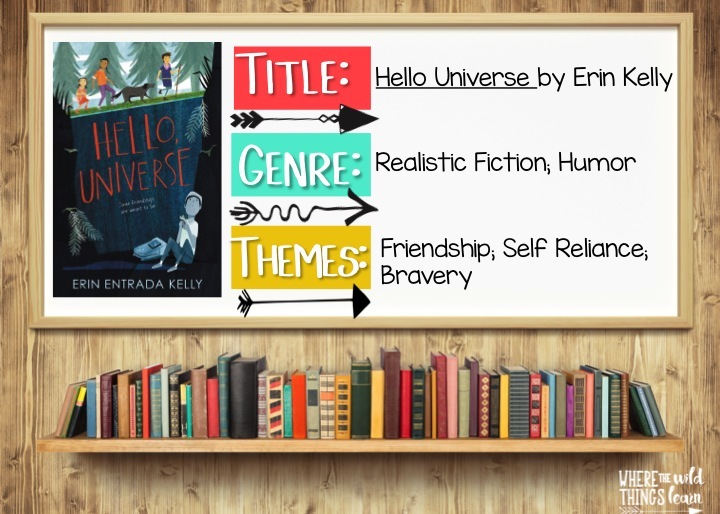 There are the classics that stand the test of time, and the books that I will always reach for year after year to read to my students, but I am also always keeping up with the new, amazing literature that is coming out. Read aloud time is a sacred time in my classroom; my students and I both feel this way. Hello Universe: The characters in this book are so easy to relate to. 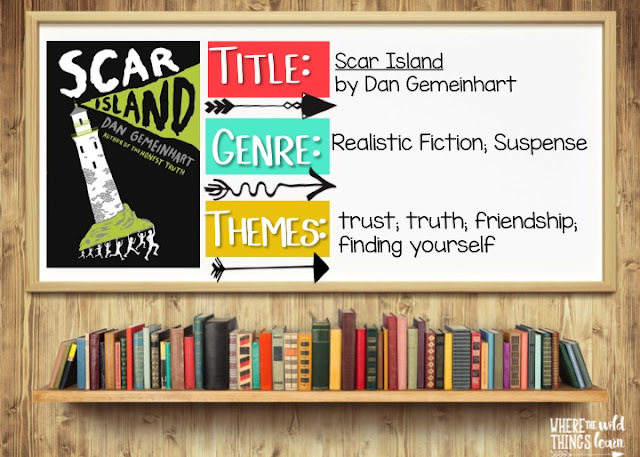 The story takes place in a neighborhood where 4 characters lives become intertwined. These two boys and two girls face challenges and learn that it's okay to be different. I love how three very different individuals come together with a common goal, and end up in friendship. It's realistic, with a good touch of humor that will keep your kiddos hanging on your every word! 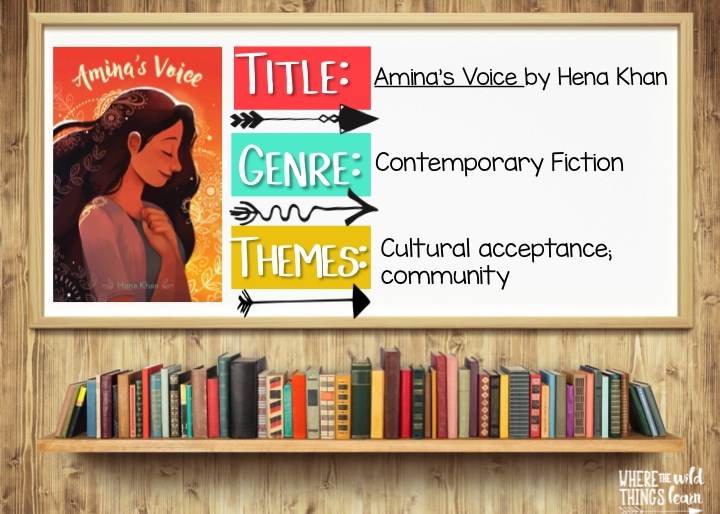 Amina's Voice: THIS BOOK. With it's beautifully written words, bold and important themes, and vividly described characters. It is a game changer, for sure. It's about a Pakistani-American Muslim girl who is trying to stay true to her culture and family, but also trying to fit into a world where she constantly feels judged and different. The powerful message it sends about diversity and developing community makes it a story every intermediate to middle school student should hear. I love that it still deals with the classic issues of middle school, but puts a modern-contemporary issue at heart. 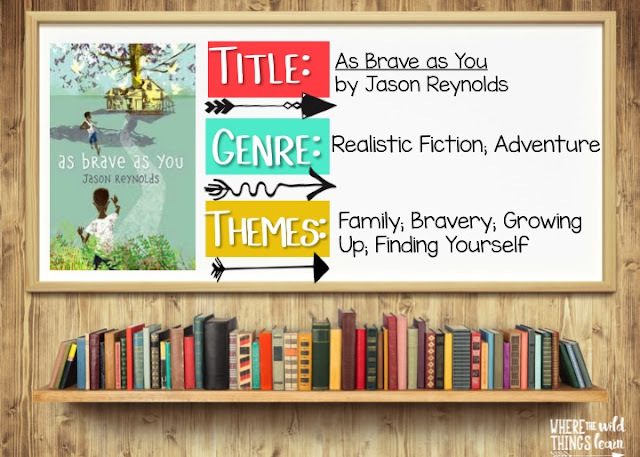 As Brave as You: Jason Reynolds write such good characters; important characters who we can all relate to and who seem so real. I love that this middle school book focuses on two brothers. I feel like there isn't a lot of male-centered authentic stories like this one out there. I love the dialogue and the voice that Reynolds gives to the character, and the quiet humor of it all. Genie's notebook questions are insightful and funny, and such a great way to see inside the mind of a teen. This book does such a good job of teaching empathy, too, which can be so difficult for middle schoolers to understand. 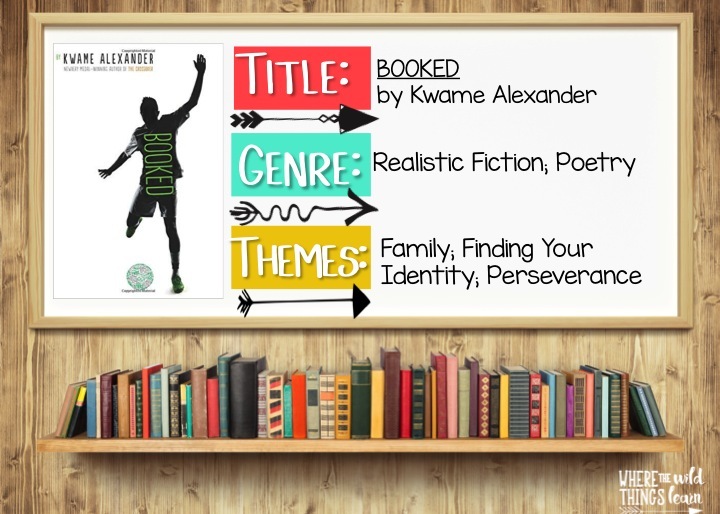 Booked: PLEASE tell me you've read Alexander's Newberry winner Crossover ? If not, when you finish this post, pick up that one, too! Like Crossover, this story is written in poetic verse. Now, before these books came out I had such a hard time getting so many of my students to read poetry. And I'll be perfectly honest, I wasn't crazy about reading it either. These books totally changed that. It tackles real middle-grade issues like divorce, bullies, peer pressure, parent pressure, sports, and more, but in a totally relatable and sometimes humorous way. Alexander also sprinkles some amazing vocabulary throughout the book, and his references to some of my favorite books (like The Watson's Go to Birmingham) totally rocked! 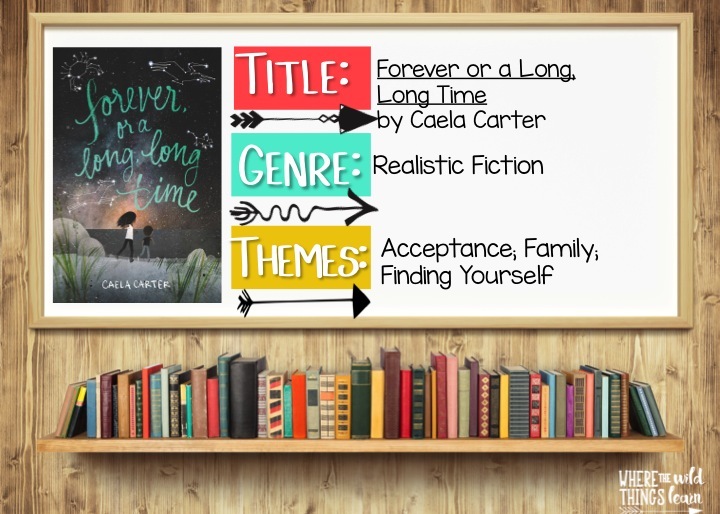 Forever or a Long, Long Time: If you've read Rebecca Stead's When You Reach Me, then you have to add this one to your list. It's about two foster children who are desperately searching for their forever home. This book tore my heart to shreds and then slowly pieced it back together with a powerful ending. The first person narration really gets inside the Flora's head and helps the reader see so much vivid detail. I love how Flora and Julian search their past to find who they truly are, and how they grow into their future as the story unfolds. I think many students will be able to relate to one of these characters. Gertie's Leap to Greatness: Oh, Gertie, you totally hooked me! I love the narrative voice in this story, that and the humor totally reminded me of some of my favorite Beverly Clearly and Judy Blume classics. 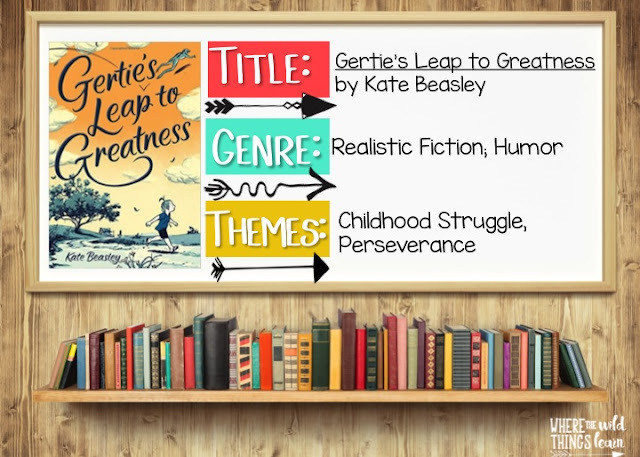 Gertie is on a quest for greatness to prove her mom wrong for abandoning her, and I was rooting so hard for Gertie the whole story. I have recommended this book to so many of my girls and they love it! 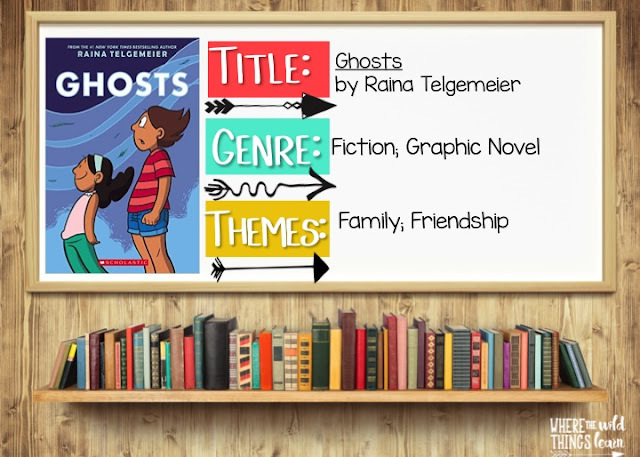 Ghosts: In case you don't know because your students haven't asked you for more 13409389205395 times, Graphic Novels are all the rage right now. 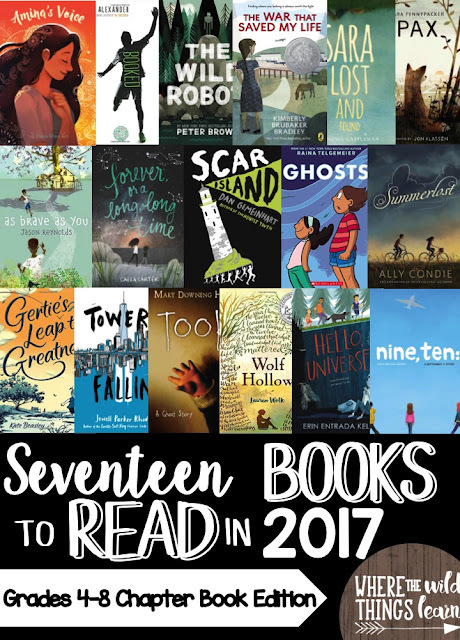 I'll admit, I've had a hard time finding ones that I felt were quality and that my students still loved (Amulet series, yes!!) Raina Telgemeier does it again with this story. The illustrations and text are so fluid, and work well together to tell a meaningful story. I had a student a few years back with Cystic Fibrosis, and I saw her strength and bravery in the face of a life-threatening disorder. I love that this story takes on the morbid, but all to real topic of death, and helps our students understand and be able to talk about such a tough topic. 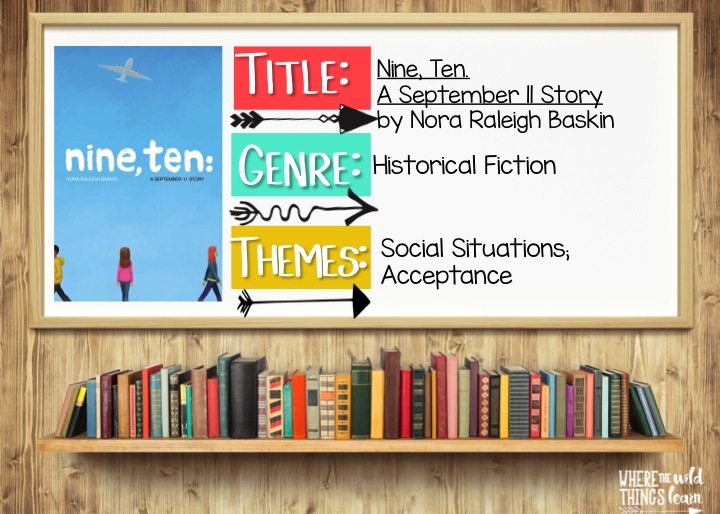 Nine, Ten: Every year I spend the week before September 11th focusing on this historical topic and doing activities. My students are completely engaged in it because it is still so relevant to them today, and so real. They have grown up hearing about it. This book follows four kids in New York and their lives a few days leading up to the attacks. They can't imagine how their live will soon intertwine, but boy do they! 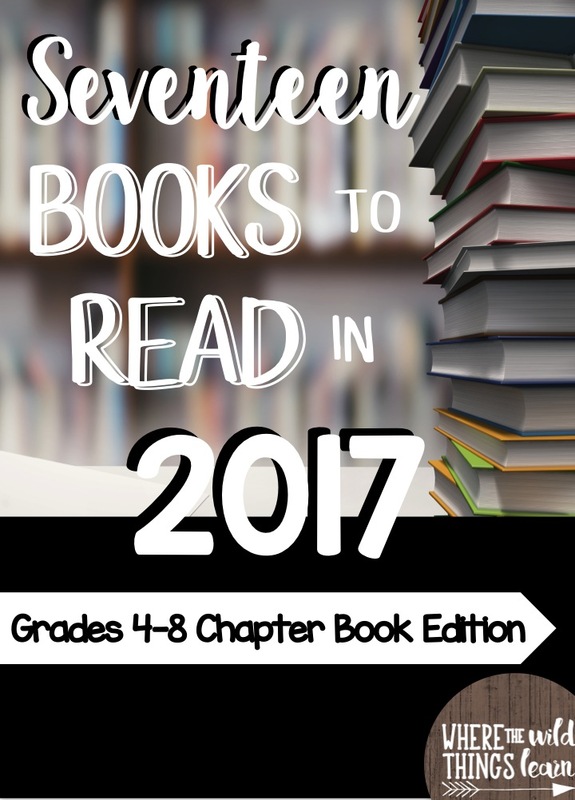 This book has kept so many of my reluctant readers captivated, and is definitely worth a read aloud. 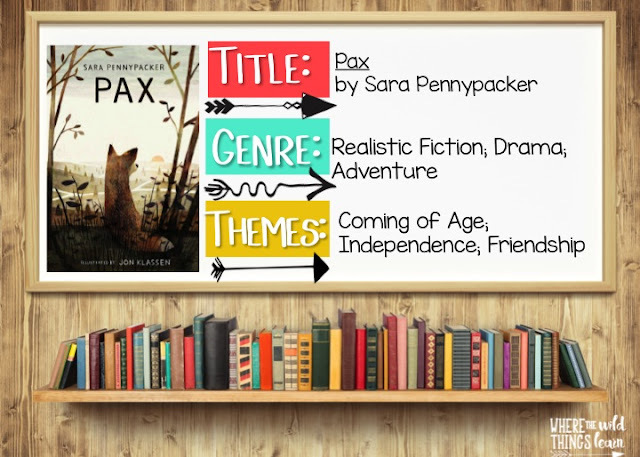 Pax: Stories with animals? Melt my heart, crush it, and put it back and it's twice the size. Pax, a fox whose family was all killed when it was a kit, finds a forever friend in Peter. The two get separated, but this story about how they find each other again is so moving. I absolutely love that it's told from the alternating point of views of Peter and Pax (makes for a great lesson!) The emotions the characters feel are palpable, and Pennypacker dives into multiple themes, with war, loss, friendship, and family all tied together in this beautiful story. Scar Island: I love the suspense in this novel! This was a complete page turner for me and I could barely put it down! It's about a reform school on an island that is taken over by its adolescent residence. Reading about them finding ways to trust each other, build friendships, and find themselves during such a trying time was powerful. The setting of this book. OH, my. Dan Gemeinhart takes the cake with this descriptive setting. I could picture very nook and cranny of this island and school, and I love how well my students can visualize when reading it. There are so many issues and challenges that I know all of my students can relate to in this book. 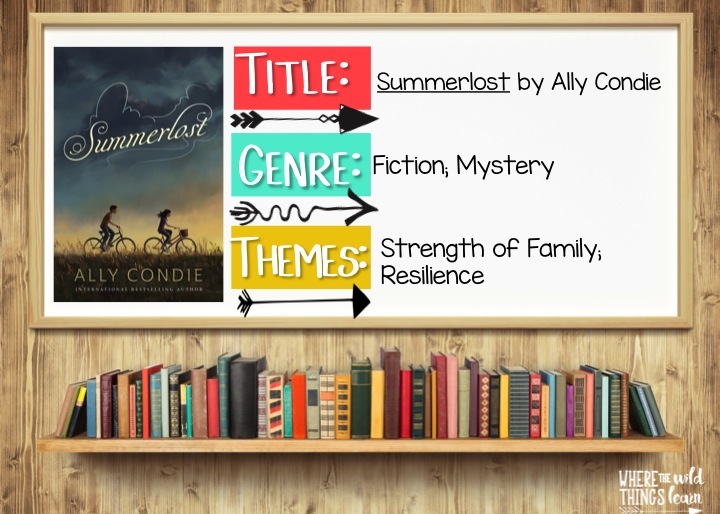 Summerlost: Ally Condie also wrote the Matched series which I love, so I knew I had to give this book a try. I am SO glad that I did. My students were hanging on every word of this mystery that takes place at the Summerlost Festival. The Shakespeare festival provides a perfect backdrop for a summer adventure filled with mystery, grief, and finding yourself. 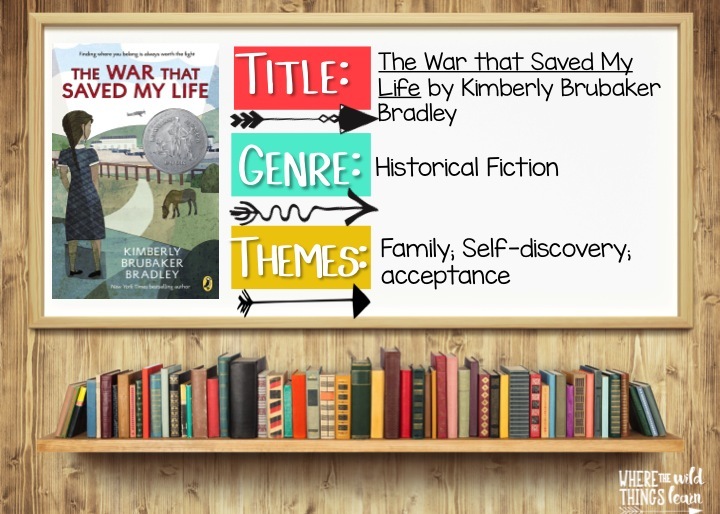 The War that Saved My Life: Historical Fiction is one of my favorite genres, and when I saw this book I HAD to pick it up. It didn't disappoint! It's set during World War II, and mostly follows a 9 year old girl named Ada. I was overwhelmed by the depth of emotions I felt reading about these characters (love, hate, shock). My students who have read it absolutely loved it! 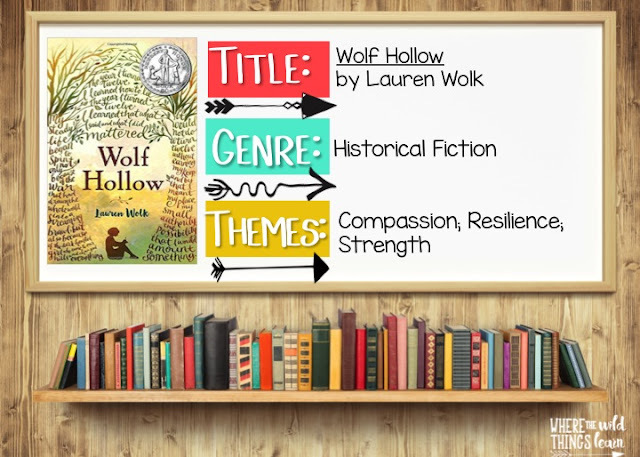 I love that I can read this book aloud to my class and tie in the historical elements, all while reading a book that has POWERFUL underlying themes. 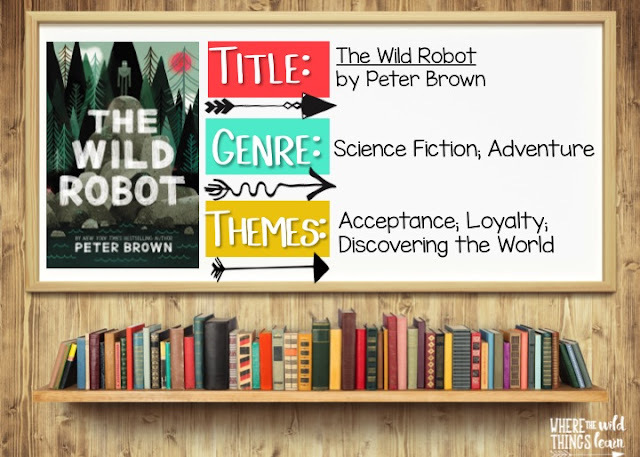 The Wild Robot: A robot as a main character? My students and I both were surprised at this one, but quickly fell in love! The odd concept of a robot in the wilderness was so well done by Peter Brown. Roz the robot became a favorite character, and watching her kindness and empathy towards others made her seem almost human. And as if an awesome story isn't enough, Brown manages to tie in so many of today's hot topics: motherhood, humanness, disability to name a few. If you haven't read it, get it now, you won't regret it! Took: I very rarely recommend reading"horror" books aloud to students, but when you find a story like this, you HAVE to share. It is a bone chilling story that left me hungry for more. It kept me hooked, and rapidly reading to find out what would happen next. I think this book is so different than most intermediate-middle grade novels out there and is a powerful read. Towers Falling: Have I mentioned that I love Historical Fiction? Now that most of our students weren't alive during September 11th, this story is SO relatable for them. Following a young girl who wasn't alive during the attacks, we learn so much more about the impact it has had on many lives forever. It is such a unique take on an important topic, and I know my students would hang on every word if I read it aloud. Wolf Hollow: Another masterfully written Historical Fiction novel set in the shadow of World War II. A young girl named Annabelle must stand strong in the face of a difficult tyrant. She has to learn to stand strong for what she believes in and not back down to a local bully. The character development in this story is so well done! Sara Lost and Found: This book was inspired by true events. I tell that to my students and they are immediately hooked! Following two sisters who face being separated into foster care, we see two characters overcome so many of life's challenges to find their way. 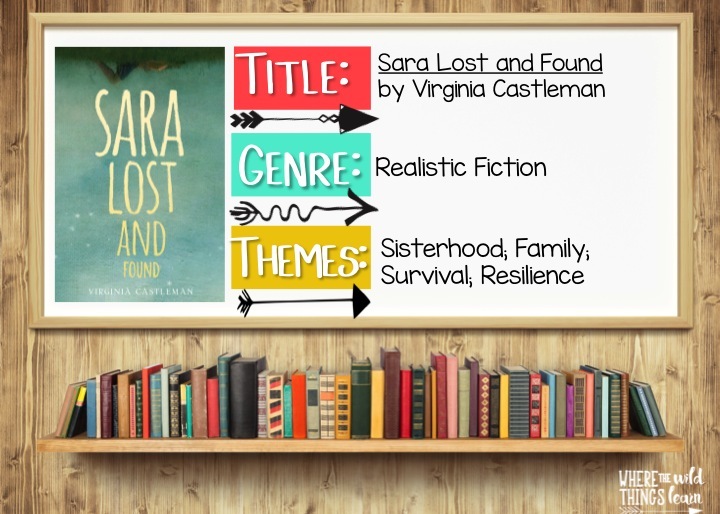 The voice in this book is tremendous, and Castleman really captured the essence of a ten-year old girl facing these unfair life circumstances. Read this to your students. Talk about it with them. Face the sometimes ugly truths that shape who we are as human-beings and make us stronger, better, and more resilient. It's a good one! 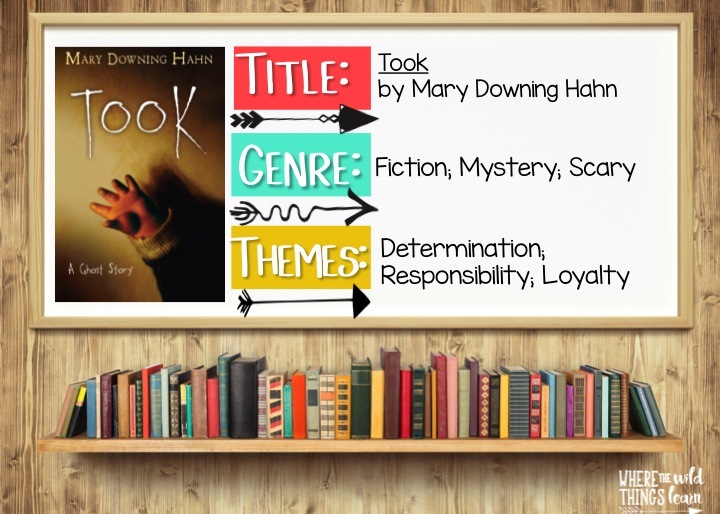 I hope you find as much meaning in reading these books with your students as I do. Read them aloud, talk about them with your students, enjoy them together. You won't be disappointed! My entire school year is taught through novel studies and mentor texts, and the authentic literature truly makes passionate readers!